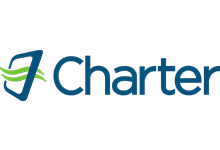 Charter email is the email program from Charter. With the Charter email you can send and receive emails from anywhere in the world. You only need a desktop, smartphone, tablet or laptop with an internet connection. To get acces to the Charter email you need login credentials. If you don’t want to use the webmail in a browser. You can use alternate programs like Outlook or Apple Mail. For these programs you need different settings. You can find the IMAP, POP3 and outgoing SMTP setting below. All users with emails are susceptible to being compromised. A case in point is when you respond to phishing emails, your computer has viruses (e.g Botnet) or by visiting websites that are not secure and using the same credentials. Always have an updated anti-virusscan running while browsing the internet and using email. Scan your computer with antivirus software, download an antivirus software that is up-to-date and do a full system scan on all your devices so as to remove any viruses. There are antivirus software packages that are recommended. No more viruses and spam. If you don’t want to use your browser for Charter email you can also use your smartphone, tablet, desktop or laptop for receiving and sending emails. you need the right settings for setting up you mobile device for webmail. All the broadband providers in the UK use different servers for webmail. You can use a standard email program on iOS, Android or Windows for your webmail. The only thing you need is an email-address and password from your broadband provider. For the settings and help with the installation look below. Below you will find the settings like POP3,IMAP,SMTP for the Charter email. Also videos to install webmail on ios and android. SSL: This setting should be ON for both SMTP and IMAP.